Are Topical Flea Killers Safe For Our Pets? 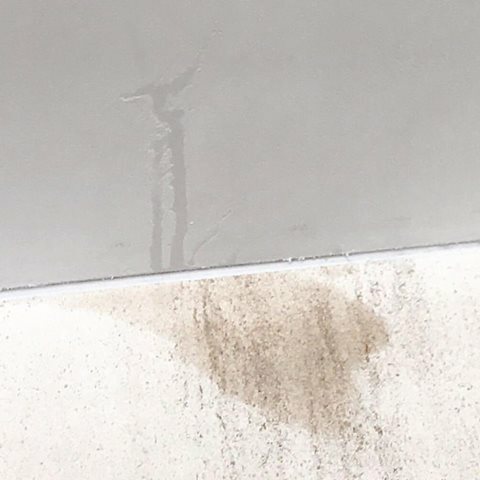 This is what topical flea killer did to our brand new wall and tile! Please understand that whenever possible I will always try all natural and holistic ways to address a health problem first. Where we live it can get very humid making it a prime breeding ground for fleas. Sure enough yesterday, I discovered my sweet husky Legend had, in a matter of hours, created a giant hotspot on his hip from a flea bite. We have tried everything natural including years of $500 treatments of Fleabusters on carpets perfectly timed before the hot weather started. But nothing has worked. Since Legend eats a hypoallergenic diet and takes supplements for allergies, the only culprit is fleas!!! I hated to do it but on the advice of several vets, we concluded that the best thing for my severely allergic dog is to use a smaller size doze of Advantage for the few worst months. Anguished about this, I applied the vial in between Legend's shoulder blades as directed. It should have absorbed in but I guess he rubbed against our freshly painted wall and limestone tile. About a half hour later, I noticed that the paint on the wall had eroded and that something had penetrated through the protective sealant on the tile!! It took me awhile to figure out what it was and then I realized---yukkk it was the Advantage. If it did this to paint and tile, what does it do to our pets? Does anyone know of anything less harsh that works to keep the fleas away? We have tried many treatments and the natural stuff unfortunately just hasn't been strong enough. Please know we even had our entire house tented last year but the warm weather and humidity bring the bugs!